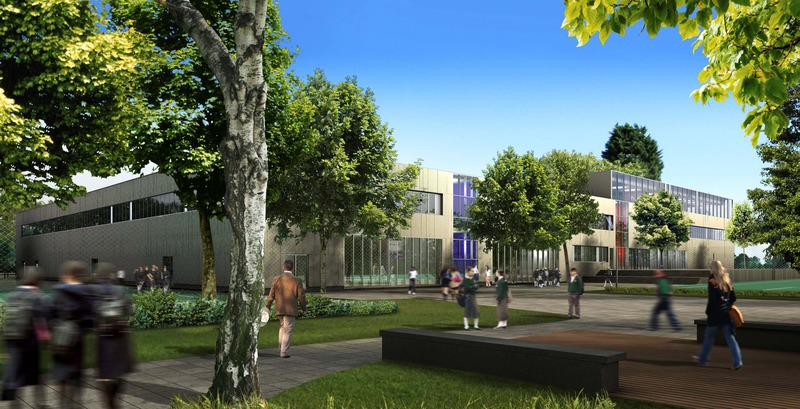 The Elmgreen School is the first Parent Promoted school in the UK, accommodating 1,100 students from 11 - 18. 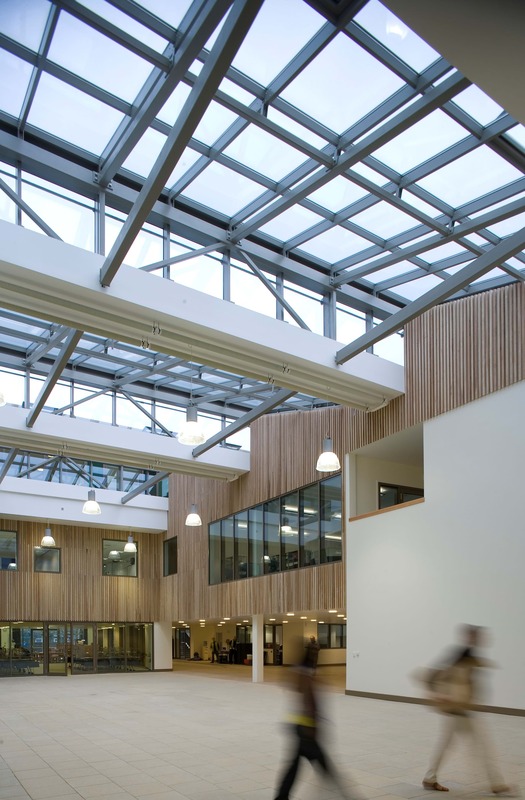 The design and realisation of this project was achieved through true collaboration between the Local Authority, teachers, parents, contractor and designers. 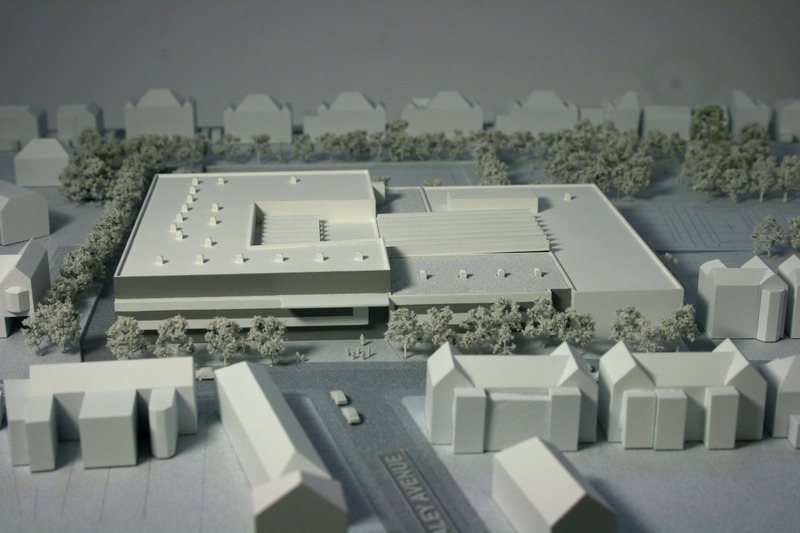 Our concept was to create a single envelope building of a scale and character appropriate to the surrounding residential area with accommodation organised around a central 'market square'. 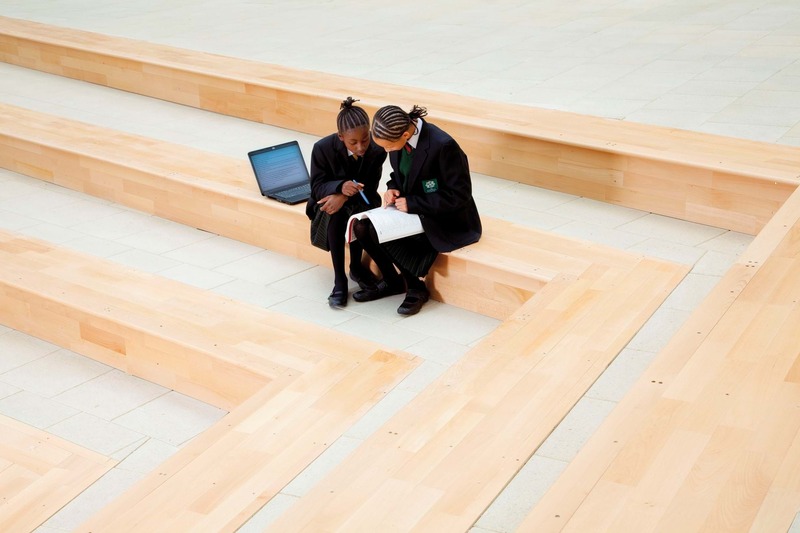 This focal point connects the different learning areas and functions as a social learning and assembly space suitable for community events. 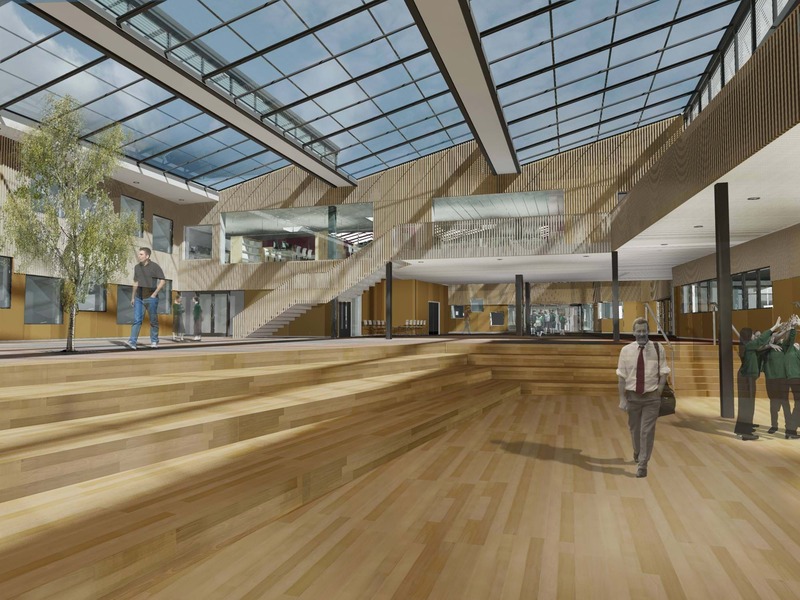 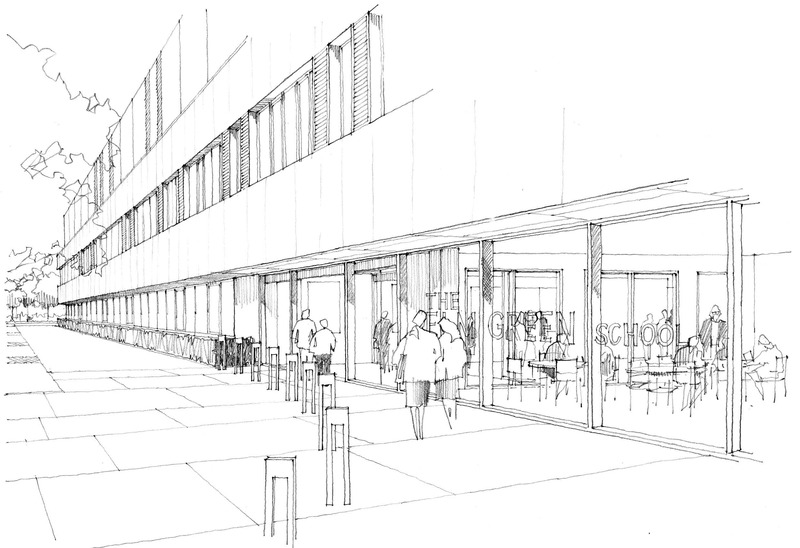 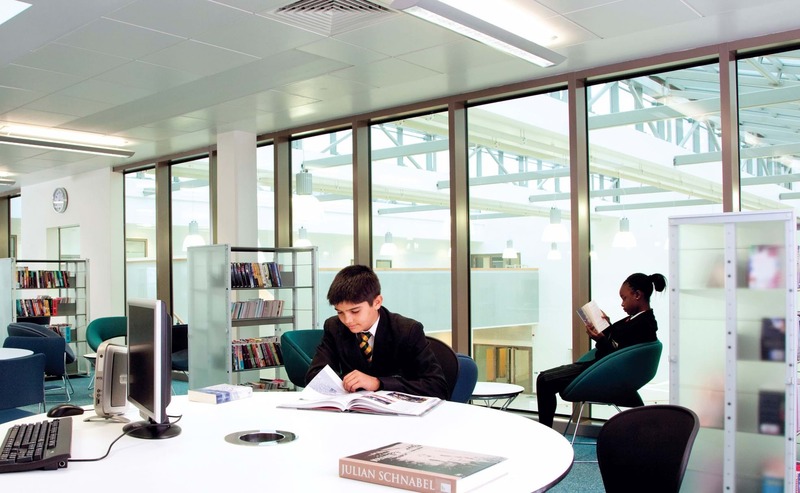 Our design supports new ways of learning, greater and extended use of technology, increased levels of student autonomy and personalisation of the curriculum, by providing open and reconfigurable spaces where passive supervision is an important feature. 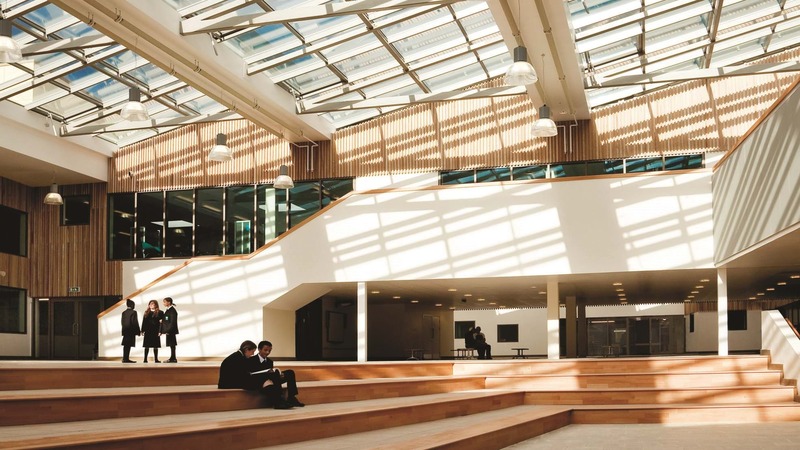 The glazed roof to the ‘market square’ ensures year-round use of this external space.